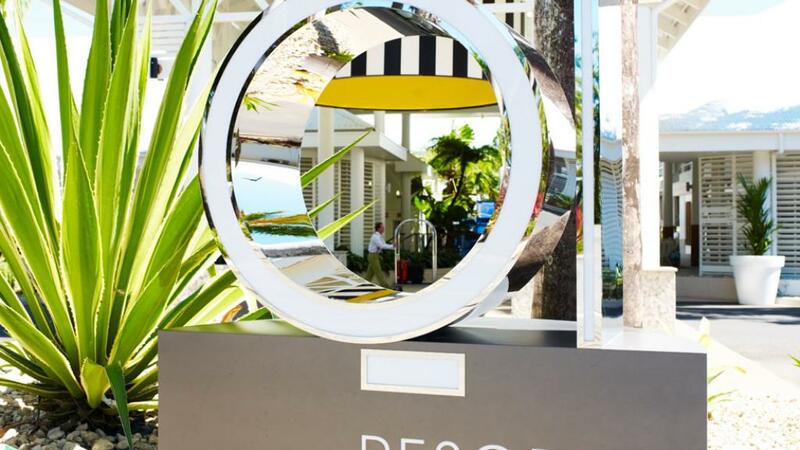 Just over a year after the Rydges Sabaya Resort was transformed into QT Port Douglas, the new look designer resort is already making a name for itself as one of North Queensland's must-see, must-stay luxury accommodation options. Amalgamated Holdings Limited's (AHL) CEO and Managing Director, David Seargeant is responsible for this award-winning new hotel brand that combines all the fun of retro kitsch with the cool stylings of a deluxe accommodation experience. Taking its cues from the tropical paradise that is Port Douglas, QT's guest rooms and holiday apartments are the perfect blend of seaside relaxation and a sophisticated party vibe that is functionally designed for both work and play. The fresh, bold interiors of the rooms are both aesthetically and comfortably pleasing and offer the convenience of being fully self-contained. However you won't want to cater for yourself the whole time when you have some of Port Douglas' hottest new restaurants and venues in the dining scene. Bazaar is an interactive marketplace designed to be a recreation of the tradition, but with a twist in the twenty-first century. Here your plate is your passport and you are free to travel anywhere and everywhere you wish. A mosaic of dishes are either made to order or offered buffet-style. Estilo is a chic cocktail bar that combines beachside relaxation with designer chic to create a tropical oasis punctuated by designer furniture, hand-crafted stone bar and talented bar tenders ready to mix the house specialties and more. Perhaps one of the most locally loved additions the QT Port Douglas has contributed to the community is the Moonlight Cinemas, an outdoor cinema that runs in peak season. With a capacity of 300, the cinema screens classics as well as the latest blockbusters and offers hot and cold food and beverages including alcohol but also encourages patrons to pack their own picnic, blanket or beanbag and settle in for the movie.